"The NV Brut Extra Blanc de Blancs is a blend of reserve wines from vintages 2006 through 2010. It is also quite a bit leaner and brighter than the straight Brut Champagne. I do find the character of Mesnil comes through beautifully here, with plenty of lemon, grapefruit, mint and white pepper overtones. The pulsating, salivating finish really seems to bring out the best of this fruit." 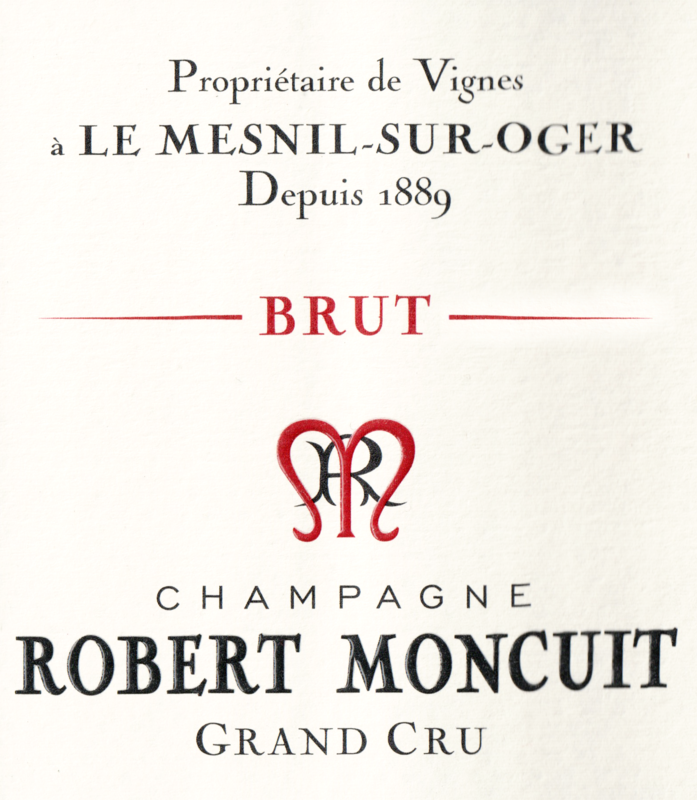 "100% Chardonnay from the Grand Cru villages of Mesnil-sur-Oger and Oger, Robert Moncuit's NV Brut Grand Cru Blanc de Blancs displays bright white fruit and floral aromas on the pure and chalky, very elegant nose. The delicate mousse gives way to a very mineral and persistent taste on the palate. This medium to full-bodied Brut is full of character and complexity; it is lovely, pure, and shows lots of finesse and a very good length. I tasted the newest release that based 80% on 2011 and 20% on 2010. 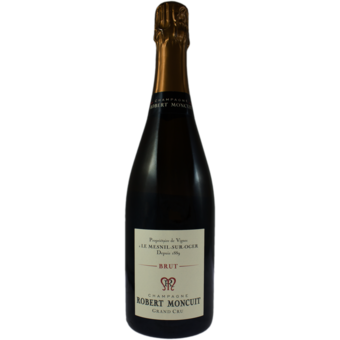 It was disgorged in May 2014 with a dosage of six grams per liter and is an excellent Brut from chalky soils."